April ride and club meeting. Next club ride is on April 7th weekend. 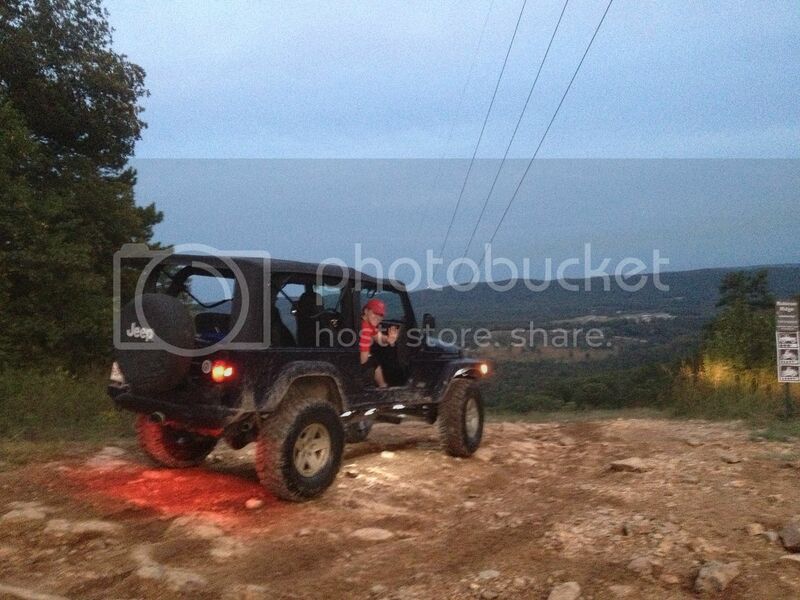 Dont be afraid to bring your jeep rock crawling or trail riding for the first time with us. We will likely split up in two groups of highly modified and daily driver jeeps, so don't be afraid to bring what you got. Can campout, rent a cabin, bring your rv, or grab a hotel up the road in town; there are lots of nice sleeping accommodations in Hot Springs. We will be cooking out that Saturday night for all registered members. Hope to see you all there. * will be a group of ppl that show up on April 5th after work to get some riding done that friday. Rest of the group will be coming up friday night after work. Who's all coming? Also, we will be meeting up at Buffalo Wild Wings in Flowood, MS the following weekend, April 15th @ 3:00. We planned on still meeting up at regular time, since there are ppl who won't be able to make it to Hot Springs the week before. Re: April ride and club meeting. I’ll be arriving on Thursday with my bud, Lance, who many of you know. Looking forward to it!! I’ll be headed there Thursday evening after work, and arrive around midnight-ish....#fedexcares, just not about my wheeling needs. We will be there Thursday evening also, not sure on the time. I'll be there in spirit for the ride. I can't make it due to scheduling issues. I will be at the meeting the following week. I’ll be up Thursday afternoon. Thursday after work is the plan. Where is everyone meeting up Friday morning? It will be easy to find us. Just look for the cool crowd by the right side duplex across from the store. No particular time. Just whenever everyone gets rolling. Likely 9 ish or a little later. Any decision on which trails we are going to run? ....all depends on Thursday night’s activities. I need a count of everyone going so I know how much food to get for Saturday. Just keep post how many in your party. Thanks. just me for burgers saturday. Most of time we all bring our own stuff to eat for lunch an snacks on trail...any plans on Friday night dinner? Simce gonna be decent group of us riding all day Friday.... ideas of anything? or if we all throwing in on stuff too grill or go in to town to eat at? Thanks for all the replays. Looks like we will have about 15 that is going to be a great turnout.